We are also monitoring progress of a number of lower priority threats, which you can view here. These bills are currently considered a lower priority because they have not had any recent movement (not because they would be less of a threat if they were enacted). Luckily, we know that the majority of Americans support public lands and wilderness areas, and that grassroots activism can generate real change at every level, even against the toughest odds. This bill is very similar to a bill that Rep. Johnson introduced in the previous Congress. This bill would amend the Wilderness Act to allow U.S. Customs and Border Protection to do the following (and more) within a wilderness area for the broad purpose of “securing the international land borders of the United States”: construct and maintain roads and physical barriers; conduct aircraft landings and takeoffs; and use motor vehicles, motorboats, and motorized equipment. The bill says that these activities “shall be carried out in a manner that, to the greatest extent possible, protects the wilderness character of the area” which is vague and subjective and completely unenforceable, thus leaving wilderness at the mercy of U.S. Customs and Border Protection. – 2/26/18: Public scoping meetings begin in Lone Pine. Attendance is great throughout, with over 100 supporters showing up in Joshua Tree alone. – 2/21/18: CalWild leads the charge to collect public comments before the March 22nd deadline through our Action Alert. – February 2018: CalWild strategies with our desert coalition partners to engage with supports on the public comment process planned for later this month and early March. Assistant Policy Director Linda Castro publishes a piece on SVCNews.com. CalWild and our partners Friends of the Inyo and Conservation Lands Foundation secure a grant from the Rose Foundation to assist with awareness and collecting comments. – 2/2/18: Notice of Intent (NOI) from the Department of the Interior to solicit public comments and identify issues for a plan amendment to the DRECP. – 12/4/17: President Trump announced his intention to reduce Bears Ears and Grand Staircase-Escalante National Monuments in Utah by 85% and 50% respectively. These reductions will, in the end, reduce the land protected under the designations by President Clinton (in the case of Grand Staircase-Escalante) and President Obama (for Bears Ears) by a collective two million acres. While we anticipated the action, the President’s ultimate decision to move forward marked one of the greatest anti-conservationist decisions by any administration in history. – 9/18/17: A leak reported by the Wall Street Journal this weekend revealed Interior Ryan Zinke’s recommendations to President Trump to reduce protections and drastically alter boundaries on at least six national monuments across the country, including the Cascade-Siskiyou National Monument shared by California and Oregon. See our Press Release. – 8/24/17: Expected recommendations from Secretary Zinke never come. Silence from the Trump administration after Zinke’s report is delivered to the President but not made public. – 8/22/17: About 100 people rally in Bakersfield to show support for the Giant Sequoia National Monument. Rep. Kevin McCarthy’s local office closes in anticipation of the event. – 8/1/17: CalWild targets Rep. Kevin McCarthy in an Action Alert geared towards gaining his support to retain Giant Sequoia National Monument’s current boundaries. – 7/18/17: Executive Director Chris Morrill contributes a blog wrapping up the public comment process; 2.7 million comments received overall nationally, with over 99% in favor of maintaining or expanding our National Monuments! – 7/10/17: Public comment process closed. CalWild supporters submitted 1,621 comments. – 6/30/17: Despite our best attempts, Tulare County Board of Supervisors vote 3-2 to send a letter to Ryan Zinke asking for a reduction to the Giant Sequoia National Monument. On the same day, he Congressional Western Caucus also sent a letter to Zinke, but asked for 10 of the monuments to be eliminated altogether (CalWild responded with an Action Alert targeting the CA representatives who signed on). A few days later, the Kern County Board of Supervisors, who were expected to write a similar letter, decided to instead ask Zinke for better funding and management of their National Monument – all because of a CalWild-assisted campaign of public outcry. – 6/26/17: Senior Policy Director Ryan Henson was on KPFA explaining threats to the Giant Sequoia National Monument outlined here. – 6/12/17: Secretary Zinke recommended that Bears Ears National Monument in Utah be shrunk but did not quantify the new proposed size. This is an alarming beginning to the recommendation process and could set a precedent for further recommendations. – 6/11/17: During the public comment process, CalWild supporters submitted 1,621 comments to the DOI amongst the 2.7 million comments received in total (98% of the those were in support of maintaining or expanding National Monuments across the country)- 6/12/17: Secretary Zinke announces that the DOI will not seek changes to the Hanford Reach and Craters of the Moon monuments in Washington and Idaho, underscoring a likely attempt to change the remaining 25 monuments under review in the coming weeks. Announced a mere 2 days after the comments session was closed – hardly enough time to read a fraction of that 2.7 million comments – this move reveals just how arbitrary the decision-making is at the current DOI. – May-July 2017: Events held throughout California in support of our 7 Monuments under threat while CalWild and its partners spread our action alerts generating comments. See a blog about the successful passage of the state resolution AJR15 here. – 5/3/17: Rep. Judy Chu introduced legislation to expand the San Gabriel Mountains National Monument, a week after President Donald Trump ordered the review of the Monument and six others in California. Take action on this here. – 4/26/17: Thanks to our D.C. ears and eyes, we were alerted to this with enough time to coordinate in a big way with our allies across California and the country, sending a loud message to D.C. that the public does not support this review. of a new well and the installation of a new pipeline inside the boundaries of the Carrizo Plain National Monument near San Luis Obispo. These are only a few examples of the current administration’s policy to open federal land to oil and gas exploration and production, at the expense of the nation’s environment, health, and wildlife. gas lease is authorized on federal land, the state should not facilitate fossil fuel production with additional supporting infrastructure on state lands. AB 342 prohibits any state agency, department, commission, or local trustee, with leasing authority over public lands, from entering into any new lease authorizing the construction of oil- and gas-related infrastructure upon state lands to support oil and gas production on federally protected lands. – specify land withdrawals and conveyances. Specified federal land shall be taken into trust for the Lone Pine Paiute-Shoshone Tribe. Lands and interests in land, including improvements, outside the boundary of Joshua Tree National Park in California may be acquired for the purpose of operating a visitor center. Would provide permanent protection for all national monuments still under “review” including the 7 California national monuments included in that review and would establish a National Monument Enhancement Fund. Would also make it clear that only Congress can reduce or eliminate national monuments that are designated by presidential proclamations under the Antiquities Act of 1906. Generally, this a good bill because it would establish a fund (Public Lands Legacy Restoration Fund) that would provide funding to the Department of Interior (DOI) to address maintenance backlogs and other similar needs for the National Park Service (NPS), U.S. Fish and Wildlife Service (USFWS), Bureau of Land Management (BLM), and Bureau of Indian Education (BIE). For the fiscal years 2020-2024, the Fund would receive 50 percent of all energy development revenues from oil, gas, coal, or alternative or renewable energy development on Federal land and water. Amounts deposited in the Fund would be available to the Secretary of the Interior without further appropriation or fiscal year limitation. The bill would allocate 80 percent of these funds to the NPS, 10 percent to USFWS, and BLM and Bureau of Indian Education would each receive 5 percent. No explanations are given as to why NPS would receive a much larger percentage than the other departments or why USFWS would receive more than BLM or BIE. In 2017, the NPS’ share of DOI’s maintenance backlog was 72.5 percent. BLM is experiencing a significant maintenance, access, and recreation backlog, despite the fact that it hasn’t made the headlines. This bill would be improved by increasing the percentage that would be allocated to BLM (perhaps by approximately 7.5 percent (for a total of 12.5 percent) and thus decreasing the percentage that would be allocated to NPS to approximately 72.5 percent). – Referred to Subcommittee on National Parks, Forests, and Public Lands 3/6/19. – Referred to Subcommittee on Indigenous Peoples of the United States 3/6/19. – Referred to Subcommittee on Water, Oceans, and Wildlife 3/6/19. – Introduced and referred to Committees on Natural Resources and Education and Labor 2/14/19. This bill would prohibit the Department of Interior and U.S. Forest Service from approving or permitting the conveyance of public land to any non-Federal individual or entity without being authorized by an Act of Congress. It would also prohibit the granting of management authority over public land to any non-Federal individual or entity without being authorized by an Act of Congress. – Referred to Subcommittee on National Parks, Forests, and Public Lands 3/7/19. – Introduced and referred to Committees on Natural Resources and Agriculture 2/14/19. – Referred to Subcommittee on Conservation and Forestry 3/11/19. – Introduced and referred to Committee on Energy and Natural Resources 2/14/19. This bill would direct the Secretary of the Interior to conduct a special resource study of portions of the Los Angeles coastal area to evaluate a range of alternatives for protecting resources of the area, including: expanding the Santa Monica Mountains National Recreation Area and re-designating the area as the “Santa Monica Mountains and Los Angeles Coast National Recreation Area”; or creating a new coastal recreation area designated as the “Los Angeles Coast National Recreation Area”. In conducting this study, DOI is to develop alternatives that would accomplish a list of goals, including: preserving and restoring beaches, coastal uplands, and waterways; coordinating with State, county, and local governments; protecting wildlife; preserving recreational opportunities and facilitating access to open space for a variety of recreational users; and protecting rare, threatened, or endangered plant and animal species, and rare or unusual plant communities and habitats. – Introduced and referred to Committee on Natural Resources 3/4/19. Adjusts the boundary of the Santa Monica Mountains National Recreation Area (currently managed by NPS) to include the Rim of the Valley Corridor (about 190,000 acres in the San Fernando and San Gabriel Valleys, Griffith Park, Hansen Dam Recreation Area, Sepulveda Basin, Ernest Debs Regional Park, El Pueblo De Los Angeles Historical Monument, Eaton Canyon and other areas in Pasadena). – Introduced and referred to Committee on Natural Resources 3/13/19. 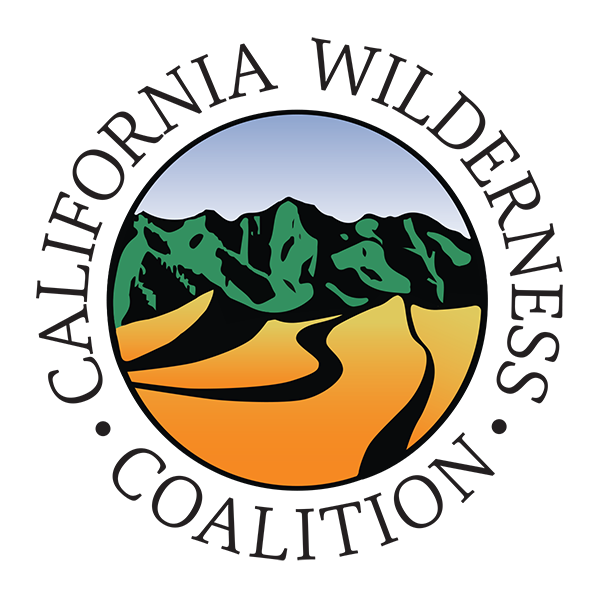 Would enhance protections to our state’s deserts by creating a definitive process for the state to assess proposals to export desert groundwater to other areas of the state. The existing law prohibits the state or a regional or local public agency from denying a bonafide transferor of water from using a water conveyance facility that has unused capacity for the period of time for which that capacity is available, if fair compensation is paid for that use and other requirements are met.